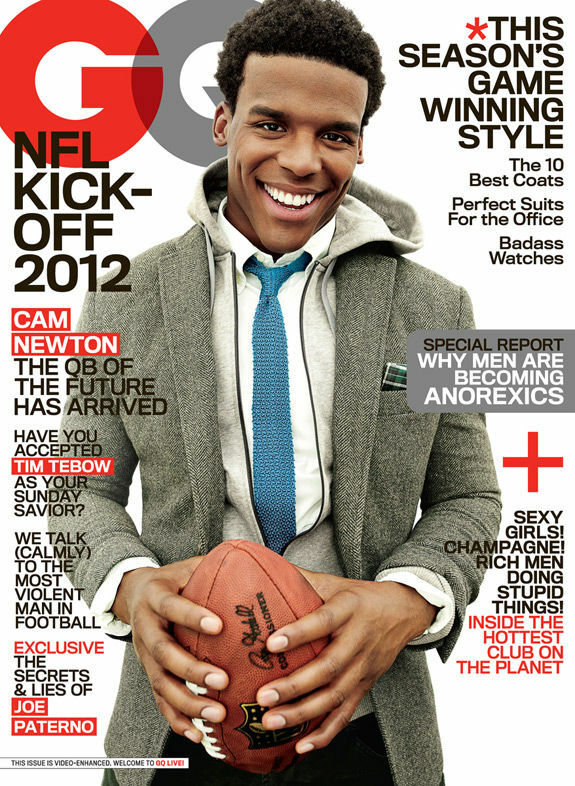 Cam Newton and Tim Tebow, two of the NFL’s most talked about quarterbacks, are featured on two separate covers for GQ’s September “NFL Kick-Off” issue. Cam Newton opens up to GQ’s Brett Martin, and reveals how he’s more than ready to handle the high expectations that have been set for him with cool composure and even a little bit of flare. He also reflects on the adversities he overcame during his college career, the influence his father has had on him, the importance of remaining modest (“If I come out and say, ‘I will be the greatest to ever play this game,’ that’s a no-no. People want to see humble”), and how he has learned from his past mistakes – including his not effectively utilizing his time with fellow cover mate, Tim Tebow, while he was in Florida (“…I was immature and unfocused. I would never, ever make that mistake again”). The September issue hits newsstands nationwide on August 21st.